Acadia National Park sold about 10 cord of wood last year, for a rock-bottom price of $25 per up to 2 cords. 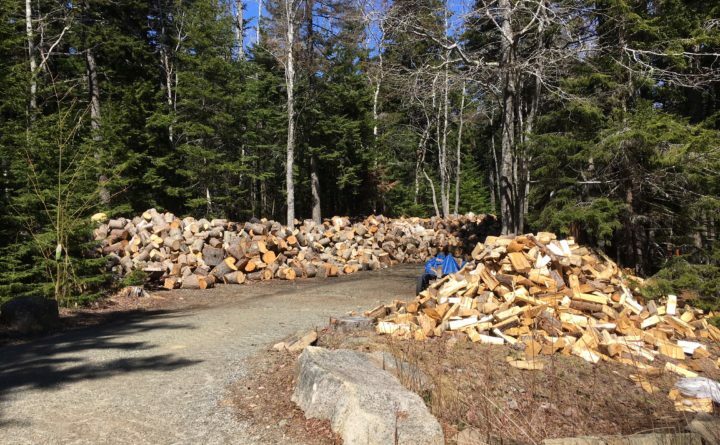 Random chance will determine whether those who have reserved a permit to buy firewood from Acadia National Park will actually get any. About 90 people have called the park hoping to buy up to two cords of wood each for $25. Park spokeswoman Christie Anastasia said last week that Acadia would have a lottery if more than 15 people made reservations. Only 10 people collected as many cords last year. This year, park workers accumulated roughly 80 cords of wood through their efforts to keep trees from crowding historic vistas. “At this point people should only call if they recognize that it’s a lottery system. It doesn’t guarantee that they will be allowed to use the wood permit,” Anastasia said Tuesday. The call-in period ends Friday, Anastasia said. unsplit, limbed rounds of 16 to 20 inches in diameter. Only those who live within a 50-mile drive of Otter Creek, part of the town of Mount Desert, will be allowed to gather it. Potential customers can call 207-288-8791 from 9 a.m. to 3 p.m. until Friday to reserve a permit. Only one person per residence is allowed. Those who don’t win the lottery will be put on a waiting list. The lucky permit holders must schedule pickups between 9 a.m. and 3 p.m., Oct. 30 to Nov. 2. Only one permit holder at a time can pick up wood, and the actual permit holder must be present. Permit holders can use trailers, but no chainsawing or wood splitting is allowed in the park. A park ranger will verify that lottery winners have collected no more than two cords of wood. Only wood available in the two designated Otter Creek areas can be collected. Any other collections are punishable by fine.